Creating awareness and recognizing behavioral factors associated with recycling is essential for waste management. To identify factors influencing recycling behavior, a theory of planned behavior (TPB)-based questionnaire was designed. The aim of this study was to assess the validity and reliability of the questionnaire. This psychometric study was conducted through a multistage random sampling on 283 homemakers of Mahabad Town, Iran, in 2014. The method recommended by Ajzen and Francis was used for designing the questionnaire. Its validity was evaluated using quantitative and qualitative face validity, ration and content validity index, and qualitative judgment of an expert panel of 8 members and its structural validity using exploratory factor analysis. In addition, its reliability was assessed using internal consistency (Cronbach's alpha coefficient) and retest (intraclass correlation) methods. Of the 53 initial questions, after calculating the content validity ratio (CVR) with values higher than 0.80 and content validity index (CVI) with values higher than 0.79, we modified 3 questions and deleted 8 questions; therefore, 45 questions were approved. Using exploratory factor analysis with a varimax rotation, 9 factors with a value of higher than 1 were selected, which were able to predict 91.81% of the total variation. The reliability of the tool was confirmed through calculating Cronbach's alpha (0.87). Results of retest indicated the consistency of the questionnaire. This research found that the Persian version of the Theory of Planned Behavior Questionnaire (TPB questionnaire) has suitable validity and reliability and can be used in research and administrative activities on increasing the participation of homemakers in municipal solid waste source separation. 1. Tchobanoglous G, Theisen H, Vigil SA. Integrated solid waste management: engineering principles and management issues. New York, NY: McGraw-Hill; 1993. 2. Kanat G. Municipal solid-waste management in Istanbul. Waste Manag 2010; 30(8-9): 1737-45. 3. Beede DN. Essay on the economics of the generation and management of waste [PhD Thesis]. New York, NY: University of Colombia; 1996. 4. Abduli MA, Tavakolli H, Azari A. Alternatives for solid waste management in Isfahan, Iran: a case study. Waste Manag Res 2013; 31(5): 532-7. 5. Abduli MA, Azimi E. Municipal Waste Reduction Potential and Related Strategies in Tehran. International Journal of Environmental Research 2010; 36(4): 901-12. 6. Alavi Moghadam MR, Mokhtarani N, Mokhtarani B. Municipal solid waste management in Rasht City, Iran. Waste Manag 2009; 29(1): 485-9. 7. Omrani G A. Solid waste management, collection, transportation, sanitary and composting. Tehran, Iran: Scientific Publication Center of Islamic Azad University; 1994. [In Persian]. 8. Salvato JA, Nemerow NL, Agardy FJ. Environmental Engineering. New Jersey, NJ: John Wiley & Sons; 2003. 9. Gamba RJ, Oskamp S. Factors Influencing Community Residents' Participation in Commingled Curbside Recycling Programs. Environment and Behavior 1994; 26(5): 587-612. 10. Ayatollahi SAR., Mohammad Poor Asl A, Rajaeefard AR. Predicting Three Stages of Smoking Acquisition in the Male Students of Shiraz High Schools. Med J Tabriz Univ Med Sci 2005; 26(4): 10-5. [In Persian]. 11. Bartelings H, Sterner T. Household Waste Management in a Swedish Municipality: Determinants of Waste Disposal, Recycling and Composting. Environmental and Resource Economics 1999; 13(4): 473-91. 12. Francis JJ, Eccles MP, Johnston M, Walker A, Grimshaw J, Foy R, et al. Constructing Questionnaires Based on the Theory of Planned Behaviour: A Manual for Health Services Researchers04. Callaghan, Australia: Centre for Health Services Research, University of Newcastle; 2004. 13. Ajzen I. The Theory of Planned Behavior. Organ Behav Hum Decis Process 1991; 50(2): 179-211. 14. Shamsi Meymandi M, Ziaeddini H, Sharifi Yazdi A. Opinion of high school students of Kerman towards affecting factors on narcotics tendency. J Qazvin Univ Med Sci 2008; 12(3): 80-8. [In Persian]. 15. Tavousi M. The effectiveness of a modified theory of reasoned action on substance abuse prevention among Adolescents in Tehran [Thesis]. Tehran, Iran: Tarbiat Modares University; 2009. [In Persian]. 16. Barati M, Allahverdipour H, Moinei B, Farhadinasab A, Mahjub H. Evaluation of Theory of Planned Behavior-Based Education in Prevention of MDMA (ecstasy) use among University Students . Med J Tabriz Univ Med Sci 2011; 33(3): 23-9. [In Persian]. 17. Karim Ghani WA, Rusli IF, Biak DR, Idris A. An application of the theory of planned behaviour to study the influencing factors of participation in source separation of food waste. Waste Manag 2013; 33(5): 1276-81. 18. 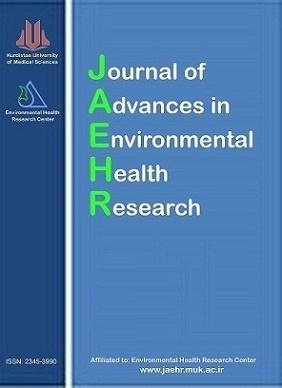 Pakpour AH, Zeidi IM, Emamjomeh MM, Asefzadeh S, Pearson H. Household waste behaviours among a community sample in Iran: an application of the theory of planned behaviour. Waste Manag 2014; 34(6): 980-6. 20. Lawsche CH. A quantitative approach to content validity. Personnel Psychology 1975; 28(4): 563-75. 21. Dixon JK. Factor Analysis. In: Munro BH, editor. Statistical Methods for Health Care Research: With Online Articles. 4th ed. Philadelphia: Lippincott Williams & Wilkins; 2001. 22. Davis G, Morgan A. Using the Theory of Planned Behaviour to determine recycling and waste minimisation behaviours: A case study of Bristol City, UK. The Australian Community Psychologist 2008; 20(1): 105-17. 23. Largo-Wight E, Bian H, Lange L. An Empirical Test of an Expanded Version of the Theory of Planned Behavior in Predicting Recycling Behavior on Campus. American Journal of Health Education 2012; 43(2): 66-73.